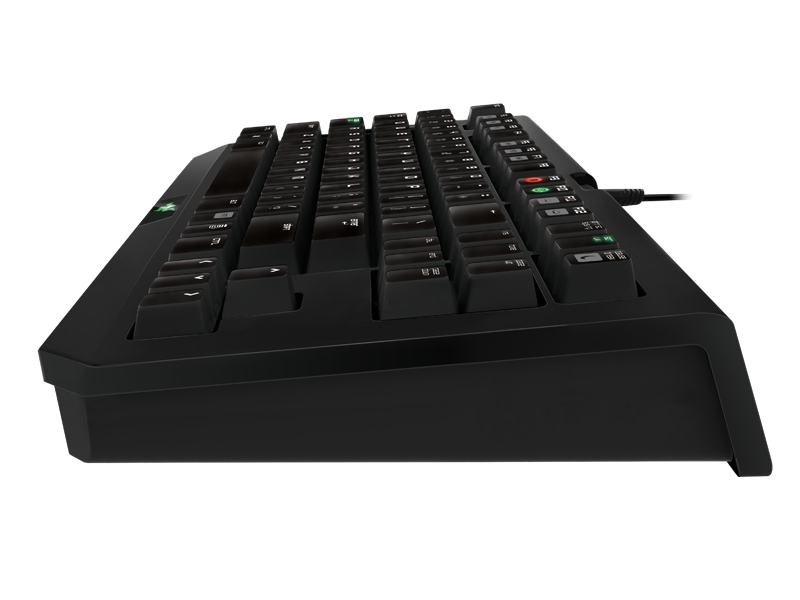 The mechanical key technology designed in the Razer BlackWidow Tournament Edition offers an entirely new feel to your gaming experience by delivering a distinctive tactile feedback in form of light pronounced taps to your fingertips. With an incredibly lightweight actuation force of 50g, and a reduced actuation distance of 2mm, the Razer BlackWidow Tournament Edition ensures the only thing between you and taking out your foes is how fast your fingers can actuate. 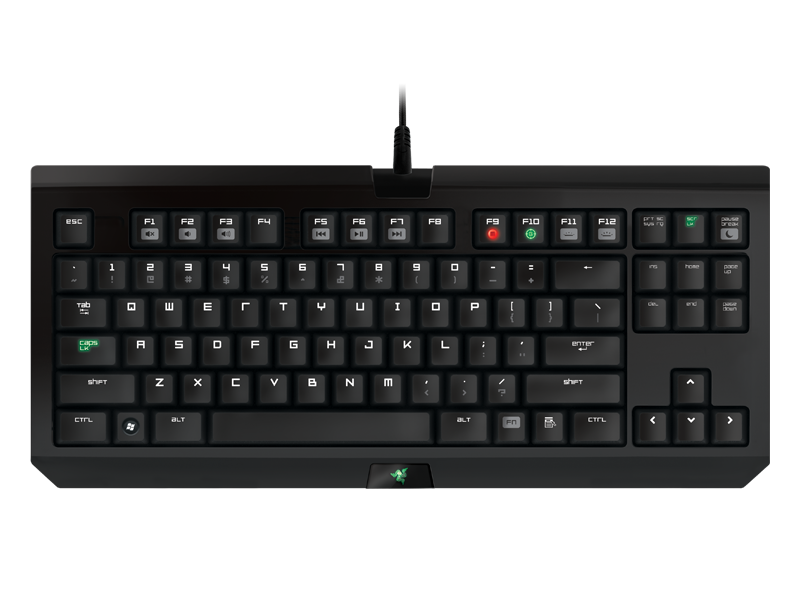 The Razer BlackWidow Tournament Edition is truly portable with its small footprint, removing the numpad and macro keys. The braided USB cable of the Razer BlackWidow Tournament Edition can be detached and stowed away neatly in the included protection sleeve for ease of carrying to LAN parties and tournaments. Actuate as many keys as there are fingers on both your hands and have them all register accurately and quickly during gaming. 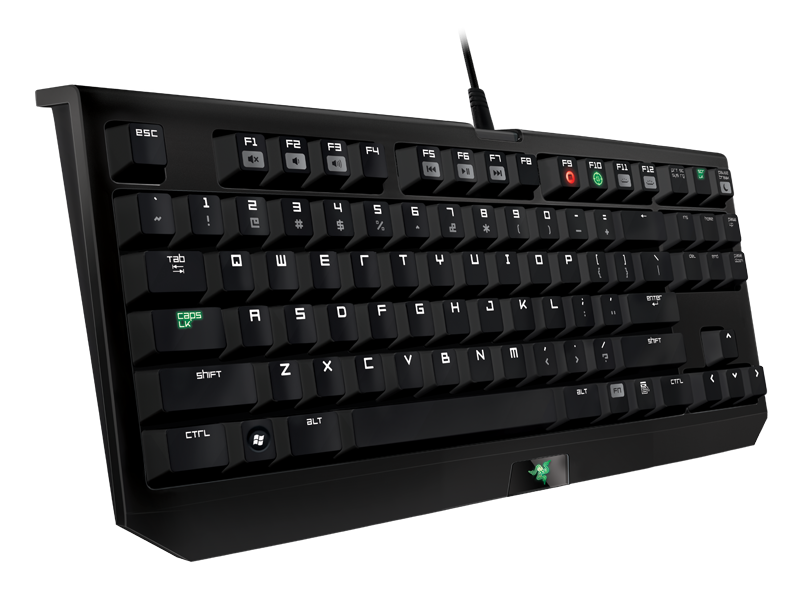 With the Razer BlackWidow Ultimate’s gaming mode 10 key roll-over, you can deliver overwhelming destruction on your opponents, or just ensure that every command is registered and executed perfectly for victorious gaming. Razer Synapse 2.0 account registration (requiring a valid e-mail address), software download, license agreement acceptance, and internet connection is required to use full feature set of product and to receive updates.